Have I got a million dollar deal for you. And just to show you how generous I am, I’m going to give it to you for the simple price of continued royalty payments from whichever one of you is able to make it work. *For an explanation of the cultural dynamics in effect during the Cold War, see here and here. 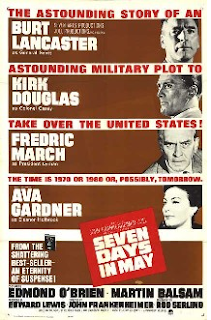 It wasn’t just The Fugitive that triggered the Evil Eye from some; movies from Dr. Strangelove to M*A*S*H were decried by critics from mainstream publications* as being anti-American, anti-military, anti-religion – in short, they violated the common cultural understanding of right and wrong when it came to America’s relationship with its civic, religious and governmental institutions. *Mainstream, as in The New York Times and the Washington Post. Yeah, I know. Today, of course, such a sentiment would be laughable. Far from being the “good guys,” the authorities (government, the police, religious institutions, etc.) are now assumed by a majority of people as hopelessly corrupt, stupid, evil, or a combination of all three. At any given time, roughly half the American public probably things the current political administration is illegitimate. Conspiracy theories, all pointing back to at least one branch of the Federal government, abound. So here’s the million-dollar idea. Within the next four years, someone should develop an idea for a television series based on the premise of a group working to overthrow the government of the United States – with the understanding that these modern-day rebels are the good guys. 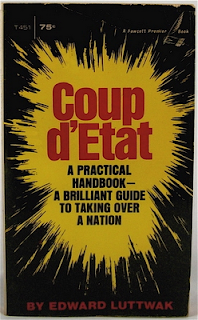 Let me repeat – a group of individuals are trying to stage a coup d'etat against our government, and we – as Americans – are supposed to root for them. This clearly turns tradition on its head. One need look back no further than the 1964 classic Seven Days in May, in which members of the Joint Chiefs of Staff (including the Chairman) plotted to stage a military coup and overthrow what they perceived to be a dangerously weak and naïve American president,* to see that the idea of overthrowing the government was considered – well, unacceptable in polite company. *You only had to look at the casting – Burt Lancaster as the Chairman of the JCS and Kirk Douglas as the colonel standing up to him – to tell which one was the hero and which the villain. Now I hasten to add, right off the top, that I am NOT advocating the overthrow of the United States Government, either violently or peacefully. I am in favor of neither treason nor sedition, and I do not want either the FBI or the Secret Service knocking at my door in the middle of the night. * But I think the public is ready for a show like this. People aren’t as naïve as they used to be; instead, they’re now hopelessly cynical about everything and everyone. Not all people, but certainly enough to make up an audience large enough to make a TV series a success. There’s so much pent-up anger out there, you’re likely to have half the country on the side of the heroes right off the bat. We have plenty of shows about agents trying to protect us from the enemy – it’s time now for one where the agents aren’t pointed outward, but inward – toward the government itself. *I would not, however, object to them pouring over the blog looking for evidence. Anything to drive readership and increase numbers, you know. As to the format of the show, I’ll leave that to you. It could be someone like Jack Bauer, a rogue agent operating undercover for the CIA, having determined that the government has sold out to foreign nations. It could be a group of freedom fighters, ordinary citizens trying to wrest control of the nation from politicians who’ve sold out to special interest groups. It could be the military, alarmed at the direction of the country and wanting to preserve the American way of life. * (It probably wouldn’t be an organization of big businessmen; they’re never the good guys.) Whatever, it should be clear that we’re not talking about something simple, like "eliminating" a specific individual. The protagonists must clearly be determined to replace the current system of government with a new one – either more radical, or more true to the Founders. That’s not for me to say – you decide. *Before you say anything, I’m not talking about a series like Last Resort, either. A scenario that involves either an accident or an act of war is too reactive. This has to be more calculating. 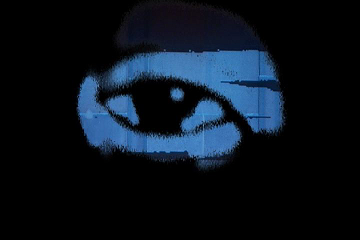 A dystopic, post-apocalyptic future, on the other hand, should not necessarily be ruled out. And one friendly piece of advice: do not mix in real names or real political issues. This is a sure fire way to disaster, for even if you have half the country on your side already, there’s no sense antagonizing the other half. They’re all potential viewers, right? This isn't about liberals wanting to get rid of colonial racism, nor conservatives battling against radical socialism. If you start to take sides, you’ll be perceived as trying to make a political statement (like Aaron Sorkin), rather than presenting a dramatic presentation that asks a simple question: would the American public, the average American television viewer, feel comfortable cheering on the end of the very system we’ve been taught to revere from long ago? Fifty years ago, those who criticized The Fugitive thought rooting against legal authority was un-American. Would we say the same, today, about a coup against our own government? And besides, it’s not about politics. It’s about making money. That’s what million-dollar ideas are for, after all. Sometime in the mid-'60s, Screen Gems (what Columbia Pictures TV was called back then), made a pilot for ABC titled Shadow On The Land. The premise was that the USA was under the thrall of a "Leader" (never referred to by a name) who had declared a "national emergency" and instituted an Internal Security Force in order to squelch opposition by force. This had led to the formation of the Society Of Man, an "underground" (but not very) group dedicated to stopping the ISF by any means necessary. The star was some contract lead whose name I can't recall, playing a SOM guy who was undercover in the ISF. The guest stars included John Forsythe as the ISF commander (hardass SOB), Jackie Cooper as a general helping the rebels (Cooper was head of Screen Gems at the time; this show was a pet project of his), Gene Hackman as a priest who was trying to stay neutral (this was Hackman's last TV appearance before Bonnie And Clyde priced him out of the market), and Carol Lynley as the hero's girl. The script was by Nedrick Young, fresh from the '50s blacklist; I can't recall the director offhand (when I finish this I'm going to IMDb for a refresher). I have this show on a collector-to-collector (OK, bootleg)DVD, but I haven't watched it in a while; much of the foregoing is from memory. As I said, ABC had first look at this pilot; it was shown on the network in (I think) 1968, and therafter went into TV-pilot limbo. When I read your entry today, I decided to rush this recollection into print, so I haven't been able to recheck things; I'll be doing that now. That's very good - I wasn't familiar with that movie until now, and I'm glad to hear about it. Differs a bit in that the U.S. is ruled by a government we don't really recognize; I wonder if that's the only way they felt they could address it, and if they'd feel differently today. If you find out any more let me know! The leading man was Marc Strange, a Canadian actor trying to break into US-TV. That didn't happen, and he went back to Canada, where he had a long and successful career. The director was Richard C. Sarafian, a fixture in prime-time TV for years. As noted, Nedrick Young wrote the script, but creator credit went to Sidney Sheldon, just before he left TV for novels. I've been trying to remember the 1968 atmosphere: this was just when everything was starting to unravel - LBJ was still President, VietNam War was going wrong, nothing was happening fast enough to suit anybody. Campus dissent was ramping up in a big way. "The Leader" in Shadow didn't really have a real-life prototype, so both ends of the spectrum could easily tag their opponents as the "model". If you check out the IMDb user comments, you'll see fulminating diatribes from both Left and Right, each claiming Shadow On The Land as a prophecy piece about whoever their particular hate figure is - Bush/Cheney, Obama, Clinton (either one), old standbys like Nixon and LBJ - you name it. Next step - I go home tonight and look at that crappy DVD again. Last night, I looked at my crappy bootleg DVD of Shadow On The Land. - Its airing by ABC in December of 1968 was apparently after about a year's delay. Filming in 1967, when anti-Vietnam sentiment was just starting to ramp up, would seem kind of prescient. The two extremes were getting more hostile to each other, but it wasn't until the Presidential campaign kicked in the following year that violence on both sides started in earnest. - The fact that the film didn't air until after Nixon's election was probably just a coincidence (it says here). -Reflecting the time, there are only two significant roles for women in Shadow: Carol Lynley as the hero's girlfriend, and Janice Rule as an ISF psych officer whom the hero turns to the side of the Society Of Man. Both actresses wear miniskirts and pixie haircuts (for much of her role, Lynley wears considerably less), further confirming the 1967 shooting date. - The "national emergency" that enabled The Leader to take power is kept vague, probably on purpose. The script refers to the situation as having taken place "four years before", which would indicate that The Leader was initially elected to his post. Also, The Leader (who is never referred to by a name) apparently enjoys widespread popular support, possibly related to "the emergency", which he seeks to get renewed by unspecified means (maybe an "election" where he runs unopposed, that's also vague). - The ISF, run by John Forsythe's character, is all about blaming the Society Of Man for anything bad that happens, and is not averse to making the bad things happen themselves when necessary. Forsythe doesn't have a mustache here, which is the only reason he doesn't twirl it. - Marc Strange, as the hero Maj. McCloud, is so insolent toward Forsythe that you wonder why he hasn't long since been busted as a rebel. The "war" depicted here would be at least as dependent on the stupidity of the ISF as it might be on the resourcefulness of the Society of Man. - The ISF employs much symbiology associaed with Naziism - its double-headed eagle flag, armbands, flat-topped caps like Nazis used to wear, and"approved" literature from the Leader, such as "Our Struggle" and "For Leader And For Country" among others. - At no time do we see exactly how and why The Leader came to power, and I doubt if this show had gone to series that we ever would. That's probably just as well; as it is, this show was so heavy-handed that specifics would have sparked protests and boycotts from all sides. From what I've been able to glean from other sources, this project was originally titled United States or It Can't Happen Here, the latter after a Sinclair Lewis novel of the '30s (though not a direct adaptation). And that's most of what I have on Shadow On The Land. - I wouldn't get your hopes up for this one in even-hotter 2012. Great work, Mike. Very interesting info! For anyone interested in developing this idea, I think they'd be better advised to follow a model like "The Young Rebels" - it's up to them to present the case in a convincing manner, but the challenge is that they're not going up against a Big Brother or quasi-fascist government, but one that's instantly recognizable as something not that different from what we have today. But considering fX's "The Americans" is supposed to make us root for the KGB, there's no reason why a young and appealing cast couldn't make this work! - I once read an interview with TV producer Barney Rosenzweig, who was showruner on the Daniel Boone series with Fess Parker in the mid-'60s. Rosenzweig bragged about how he told writers on the Boone show to use the then-current Vietnam war as a template for their scripts, casting the British as the USA and Boone and the Kentuckians as the Vietcong. It amused him greatly that Boone got its biggest ratings numbers in "heartland America" - what would now be characterized as "Red-state America>. - As of now, I know not a whole lot about fX's The Americans, and thus I don't know about this "rooting for the KGB" business, save for the fact that this meme seems to have originated with L. Brent Bozell, the ultra-right-wing pundit. Given the extreme conservatism of Rupert Murdoch, I kinda doubt that any kind of pro-Communism is going to be in this show, which being on a cable channel is going to at least get an initial run (not cut off after one bad showing as would be the case on a broadcast net). In that respect, I remember when Mr. Bozell played a major role in driving a wonderful series called Nothing Sacred from the ABC schedule, by persistently misrepresenting its content and intentions (in close collaboration with his BFF Bill Donohue of the bogus "Catholic League"). I'm going to have to look into this show further, and this includes actually watching it , something I'm sure Mr. Bozell will find some excuse not to do. Apologies for getting quasi-political here, but Bozell is a major irritant of mine for some while (just my luck, you might be a fan). I'm a newcomer to this site, and I'm not sure of the ground rules here, so I'll back off for the nonce. No worries, Mike. The only ground rules here are that you like TV and indulge in civil conversation. I see no problem here! Welcome aboard!